STK # TG1624 2018 MOGUL MASTER 18-08 DSAC — The Shop Industrial inc. 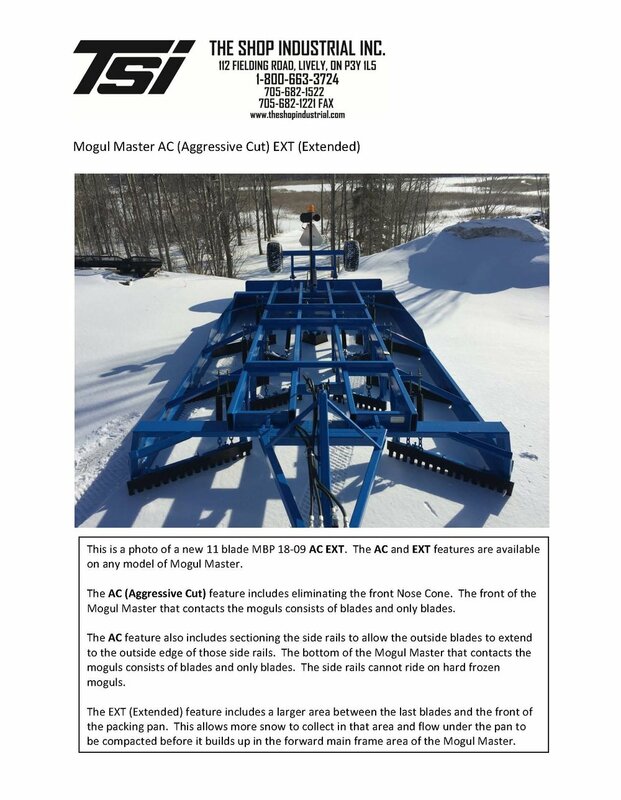 The Mogul Master Deep Snow Multi-Blade Planer is designed to allow very high quantities of snow to flow through the drag freely. Incorporating fewer blades than the MBP series, yet very aggressive at cutting hard packed moguls when conditions demand, the DS MBP is a must for those areas that experience high snow accumulations. And the DS will groom in wet snow at above freezing temperatures like no other trail groomer can.